“School’s out for summer…” The song lyric by Alice Cooper in “School’s Out” is a reminder that students are heading into summer jobs until they return to the classroom this Fall. High school juniors and seniors (ages 16-17) and college students (ages 18-24) have either decided to skip vacation and move back home or hang out in their college towns. Either way, young students everywhere are becoming youth workers and employers must take precautions to ensure the protection of every employee especially the future leaders of the world. Restaurants and other retail businesses may rank high risk among U.S. industries for youth worker injuries, but you must also recognize the hazards that exist within the recreation, agriculture, and construction industries. Today’s youth has a vested interest in their future, so how can you help them succeed? The answer is shouldering your responsibilities. Go! “Nothing will ever to happen to me!” How many times have you heard that joke? How many times do you hear it from the not-so-young workers or even yourself? The truth is—youth workers do not know any better. They believe their enthusiasm and energy will protect them from the hazards. Wrong! 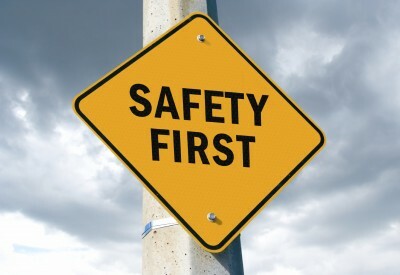 Limited or no prior work experience and a lack of safety training contribute to high injury rates. High school workers may be at increased risk for injury since they may lack the strength or mental ability needed to perform job duties. As employers, you must trust your instincts and provide effective training, offer positive feedback, and encourage questions. You are dealing with the greenest of employees, so special circumstances are necessary. As parents, take an active role in your child’s employment, know the laws and youth workers’ rights, and share information with other parents. -Once a youth reaches 18 year of age, he or she is no longer subject to the Federal child labor provisions. -There are 17 declared Hazardous Occupations Orders which restrict job types and industries for youth workers below the age of 18. -Youths 14 and 15 years old are limited to hours limitations and have numerous restrictions when it comes to amusement parks and recreation establishments. -Minors 13 year of age are younger are generally not allowed to work, including in amusement parks and recreation establishments, but certain exceptions apply. The U.S. Department of Labor offers great resources including the Employer’s Pocket Guide to Youth Employment. Individual States have other provisions, so employers are also encouraged to check with their State Department of Labor. -Every 9 minutes, a U.S. teen gets hurt on the job. -In 2016, there were about 19.3 million workers under the age of 24. -In 2015, 403 workers under the age of 24 died from work-related injuries. -In 2015, there were 24 deaths to workers under 18 years of age. Hazards affect employees everywhere regardless of age. Incidents caused by: 1) Struck by objects, 2) Flawed maintenance of motor vehicles, 3) Improper lockout/tag out procedures, 4) Ignoring personal protective equipment, and 5) Poor housekeeping have and will continue to cause harm to youth workers. Take advantage of others’ experiences and begin to lead a new health and safety program that provides both an educational and safer experience for them and your company. If you have or are planning to hire anyone between the ages of 14-24, then please recognize the young person is a youth worker. This is especially important if you are that person’s first employer. Supervising appropriately, training effectively, and developing an injury and illness prevention program are equally important. Treat every youth worker with the same care you would expect your own child to receive at his or her workplace. Remember that youth workers also have rights, not the least of which, Section 5(a)(1) of the OSH Act of 1970 that says, “Each employer shall furnish to each of his employees employment and a place of employment free of recognized hazards causing or are likely to cause death or serious physical harm to his employees.” Most youth workers will be heading back to school when the summer ends. A new school year means more studying, the prom, and college applications. A new college semester means writing papers, an internship and graduation. Afterwards, another cycle of independence begins. Instead of standing in the way of growing success, set an example now and promise to do everything in your power to achieve greatness by protecting today’s generation and generations to come.